Initiates, prepare your self to be dumbfounded by these new exciting stuff from the movie adaptation of Divergent by Veronica Roth. After the onslaught of some fantastic character posters, the official and theatrical poster has come our way, and it's nothing short of stunning. Shailene Woodley and Theo James really do look the part of Tris and Four. But hold on, if you think this is fantastic wait till we see tomorrow the full trailer of the movie which will be released over Summit Screening Room's official Youtube channel. All good things do come to those who wait! Prepare your self for the official poster of Divergent, starring Shailene Woodley & Theo James. By the way this poster is just a prelude for the release of the official trailer of the movie! Watch a sneak peak of the trailer before it's official release tomorrow. And don't forget to checkout the banner poster as well. 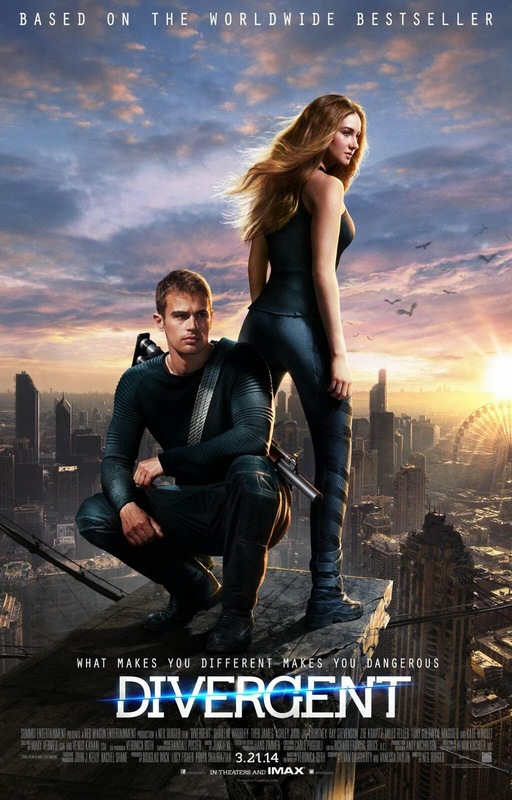 Divergent comes to theaters and IMAX on March 21, 2014!